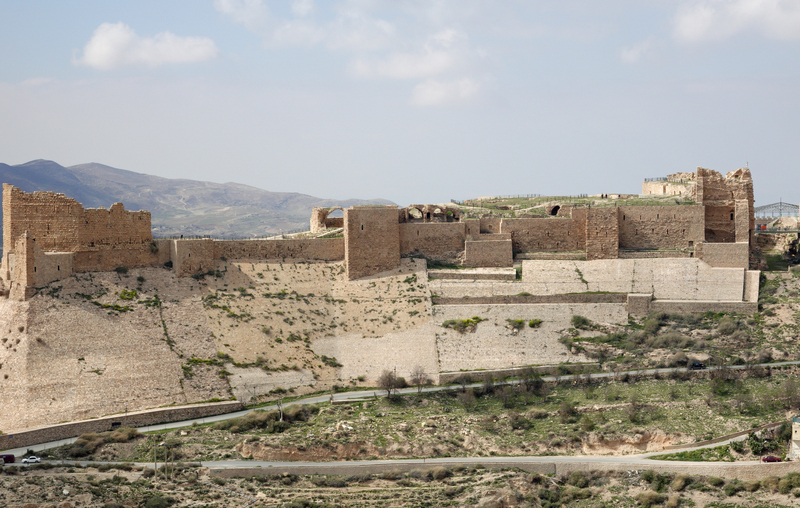 Karak castle was a crusaders castle and the full castle is no longer there but you can still walk around the old fort. They have also built inside and around the castle the town of Karak, using materials from the castle. You can also still see bits of the old wall scattered through the town. The castle is cold and windy but again another spot of amazing views of the Jordanian landscape. The dirt, the farms and the cities with the old little stream or lake. 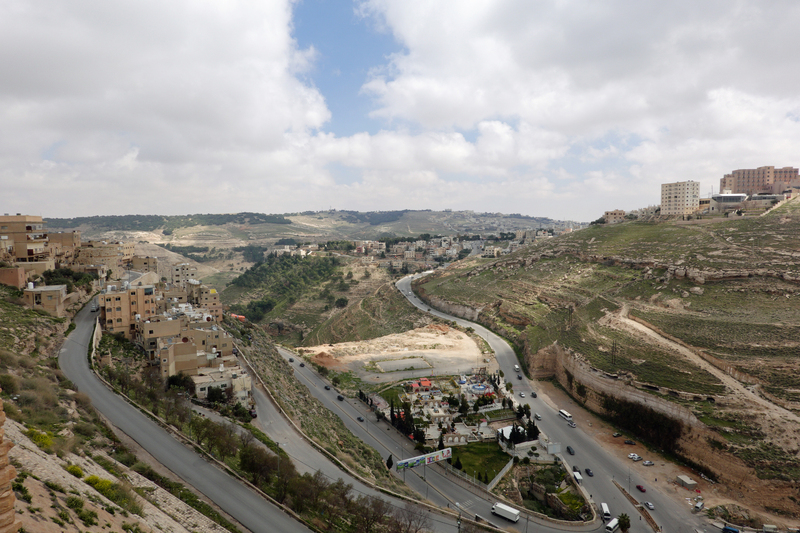 As we drove around Karak in town, we could see the locals going about their daily business and as it was a Thursday, the last day of the working week, people were everywhere. It was also lunchtime which meant change in shifts for school children. Some were going to school others were coming home. I would have liked to roam Karak and see how the peopled lived.